Holiday Closings - October 9th - Steele Memorial Library will be open from 10am-6pm; all other CCLD libraries will be closed. Join us for an art workshop with artist Wynn Yarrow on Thursday, October 5th at 6:30pm. Using thin sheets of copper, we will learn to create a dimensional surface and the steps to painting on metal. You may paint any image you choose. The sheen of metal can reflect light through your design. For Adults & Teens! Call 733-9175 to sign up. The Art Journey 2017 series is made possible, in part, with public funds from NYSCA’s Decentralization Program, administered regionally by The ARTS Council of the Southern Finger Lakes. On Friday, October 13th at 2pm, attend an acrylic painting class with Artist Filomena Jack, paid for by the Friends of CCLD. Call 733-9175 to sign up. Teens: Win Prizes instantly during TEEN READ WEEK (Oct 9-14) when you check out any book, audiobook, or magazine at Steele Library or the branch libraries. Prizes may include: candy, books, money off your fines, tote bags, and more. (Prizes will vary by library). October 27, 7-9pm - Teen Halloween Dance: "Creepy Underworld"
Thanks to the Friends of CCLD for financially supporting the "unleash your story" workshops and the Teen Halloween Dance. This month at Steele we invite kids of all ages to Discover the Vikings! We will have a Viking Map Puzzle; solve the puzzle to win a treasure. Join us for an American Girl Doll themed craft and enter for a chance to win a Lea Clark American Girl Doll. Join us for our new Tween/teen Homeschool group that kicks-off on Wednesday, October 4th and will meet every 1st Wednesday of the month after that. October 4, 2:30pm - Tween/Teen Homeschool Group (ages 11-18). Meets every 1st Wednesday of the month. October 11, 3:30pm - Lego Club - Meets every 3rd Wednesday of the month. October 12, 4pm - American Girl Halloween themed craft and give-away! Thursdays, 4pm - Discover the Vikings with Booker: there will be a different Viking themed craft every Thursday. Month long Viking Map Puzzle - Learn about map reading and compasses while you solve the map puzzle to win a prize. On October 10th at 6pm, Movie and Popcorn night returns with Disney’s Decendants 2. Have you ever been to Build-A-Bear? We have a program just like that coming to the Big Flats Library on October 17th at 6pm. 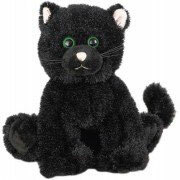 Participants will make their very own black cat to take home. You must register for this fun program as space is limited: 562-3300. Refreshments will be served. Teens and Adults can join us on October 24th at 6pm for a hypnosis program with Cris Johnson. Come join the fun with the Bookmobile at Oktoberfest on October 14th, 10am-4pm on East 14th St in Elmira Heights; there will be games, prizes, and temporary tattoos! We’ll also be at Pumpkin Express, 61 Old Ithaca Rd in Horseheads, on October 21st from 12pm-3pm for crafts, coloring sheets, and more temporary tattoos. Our book club meets the 2nd Friday of the month at the Bulkhead stop in Southport at 1:30pm. We will be discussing "Story of Edgar Sawtelle" by David Wroblewski, on October 13th. For October, we will be reading "Electric God" by Catherine Hyde. In October at Horseheads, sign up to learn all about your tablet or smartphone! Adults can join us for a fall and holiday card-making program with Marie on October 10th at 5:30pm. Registration is required for all programs: call 739-4581. 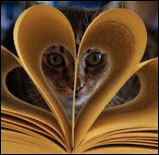 Kitty Lit continues this month for kids, grades 1-6 (read to the cats). Kids 5 and up can come and make some spooky crafts on Halloween Craft Night (October 18th)! Teens, 13-18, join us on October 23 at 6pm; we're turning the library into a pumpkin painting patch! Bring your friends and we'll provide the rest, free of charge. Registration is required: 739-4581. Join us at the Van Etten Library on Friday October 27th from 2:30-4:00 for a fun Frankenstein Friday. There will be face painting, ghoulish games, creepy crafts, & spooky snacks! October 18, 3:15-4:15 - Lego Builders Challenge Club, first meeting. A light, after-school snack will be provided. October 23, 1:30-3:30 - Tablet Talk; learn to use your device. Registration is required, intended for ages 12 & up. This month begins our Cookbook Book Club! Call to reserve your spot and pick up your copy of this month’s book, and then join us every 4th Monday to sample recipes and to get the next month’s cookbook. On October 16th, bring a rock to the library and join the latest Painted Rock trend! We are looking for donations for our puzzle and board game exchanges.